Who doesn't love Bingo? 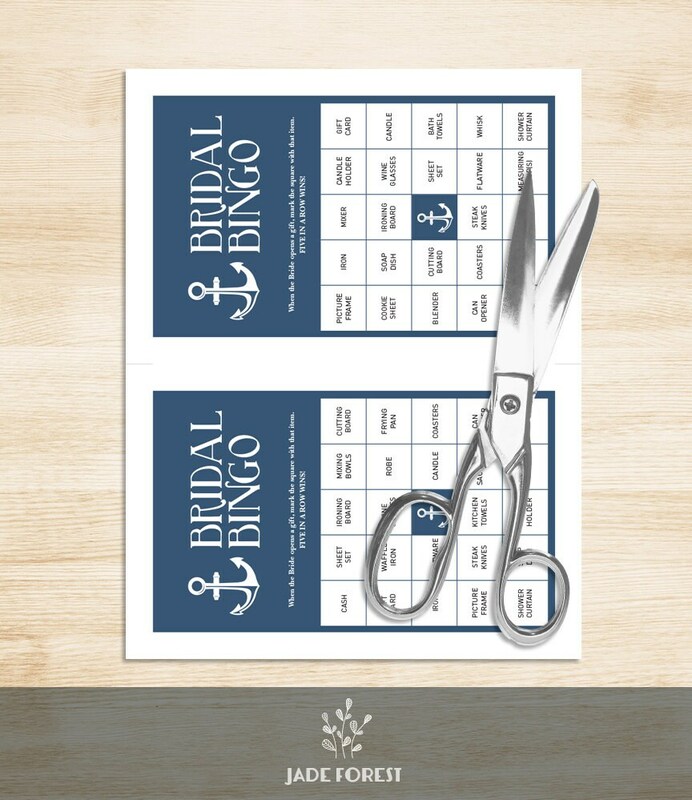 These beautiful DIY Bridal Shower Bingo Boards are a great way to add a fun touch to the event, and make gift-opening more fun for everyone gathered. These will be a hit with all the guests! You will receive a 25 page PDF, with 2 cards per page, for a total of 50 UNIQUE BINGO CARDS. Just print as many pages as you need. ▷ Looking for SOMETHING DIFFERENT? Just contact me, and I will gladly set up a listing to match exactly what you need! This listing is for DIY printable digital files. These are not physical cards. You may print them at home, at a neighborhood print shop, or at the online printer of your choice. You may print as many as you need! These are absolutely perfect for printing at home, but check out the Shipping & Policies tab for suggested convenient locations you can get these printed elsewhere if you prefer! Once your payments clears, the files will be available for download on the "Purchases and Reviews" page immediately. You will also receive an email with the download link for your convenience. It's a cute design, but coffee was spelled wrong. I contacted her right away when I noticed and received a corrected file within a few hours. 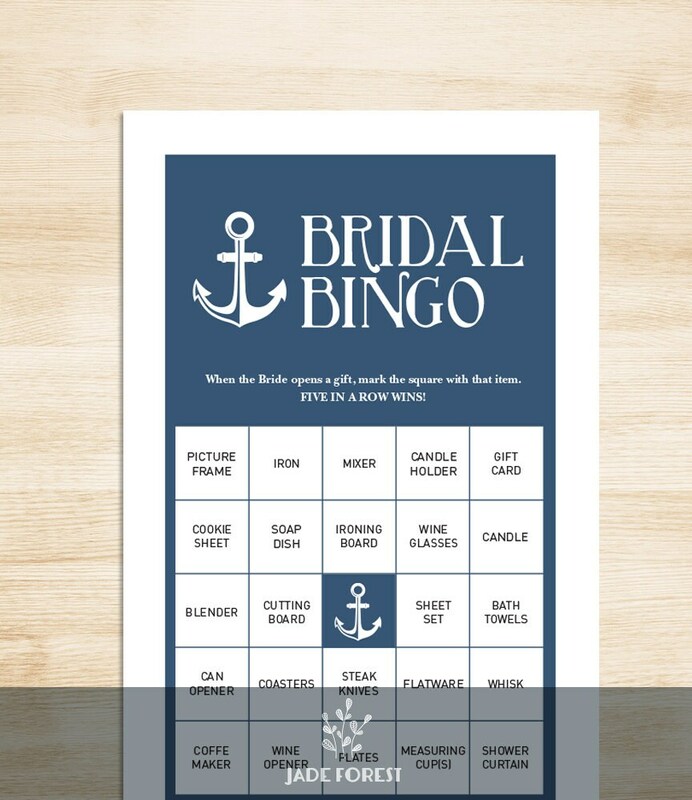 The bingo cards were a huge hit at my daughter's nautical bridal shower.